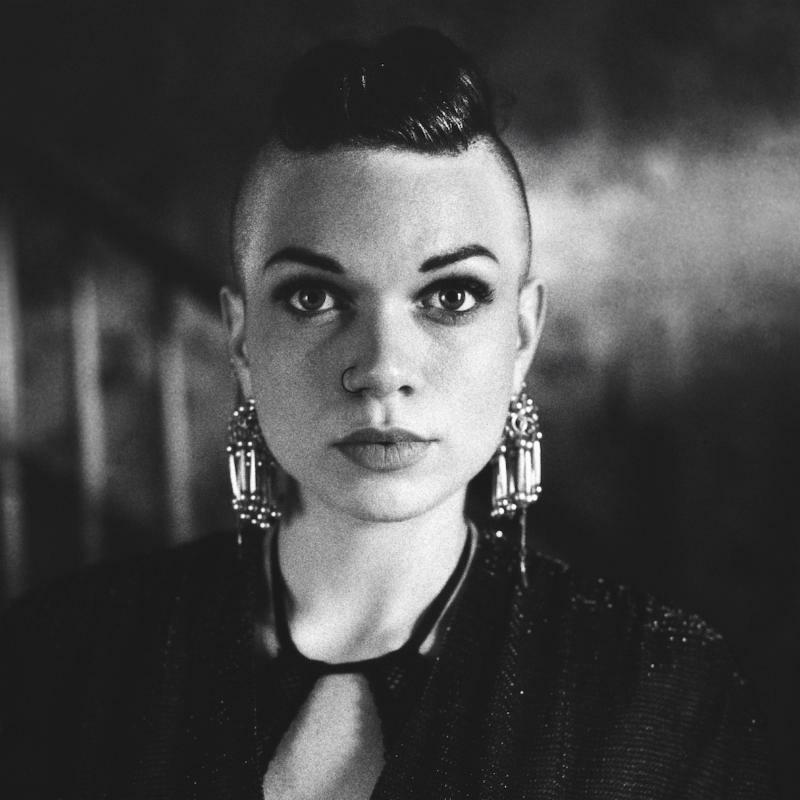 (Nashville, TN) Third Man Records has announced the extraordinary new album from Nashville-based singer-songwriter-musician Lillie Mae. FOREVER AND THEN SOME arrives worldwide on Friday, April 14th and is available for pre-order now, with all digital pre-orders receiving an instant download of the album’s wistful first single, “Over The Hill and Through The Woods,” which was also released today. “Over The Hill and Through The Woods” is accompanied by a companion video, directed by acclaimed filmmaker, photographer, and producer Elise Tyler (Damien Jurado, William Tyler, Kevin Morby). The clip premieres today on YouTube. “Over The Hill and Through The Woods” will also be available as a vinyl 7″, beginning tomorrow, February 24th, at thirdmanstore.com. A limited edition 7″ will then be released exclusively at Third Man’s Nashville and Detroit retail stores for Record Store Day 2017 on April 22nd. Lillie Mae will celebrate the release of FOREVER AND THEN SOME with a wide-ranging run of North American live dates, starting with a March 9th headline show at The Syndicate Lounge in Birmingham, AL on the way to Austin, TX for South by Southwest (SXSW), and then hitting the road with Ben Harper & The Innocent Criminals. For tickets, updates, and additional dates, please visit lilliemaemusic.com. Lillie Mae has been singing and playing on stages across the country since she could stand on her own two feet. FOREVER AND THEN SOME sees the Nashville-based singer-songwriter and multi-instrumentalist weaving her own extraordinary experiences with the myriad strains of Americana to create a breathtaking song cycle of romance and struggle, solitude and adventure. Songs like “Wash Me Clean” and “Honky Tonks and Taverns” stand out as snapshots of intimacies, encounters, and moments that matter, reverberating with earnest emotion and restless creative energy. Produced by 12-time GRAMMY® Award-winner Jack White III at Third Man Studio in Nashville, FOREVER AND THEN SOME affirms Lillie Mae as a remarkably gifted musical storyteller, a bright new star that’s been here all along. FOREVER AND THEN SOME features backing throughout by the core combo of Frank Carter Rische on electric and acoustic guitars, Scarlett Rische on mandolin, and the veteran rhythm section of bassist Brian Zonn and drummer Tanner Jacobson. Other notables appearing include keyboardist Dean Fertita (The Dead Weather, Queens of the Stone Age), banjo player Ian Craft (The Howlin’ Brothers), and Old Crow Medicine Show pianist Cory Younts, with harmony vocals from McKenna Grace Rische and singer-songwriter Carey Kotsonis. (Nashville, TN) Third Man recording artist Lillie Mae is proud to share “Wash Me Clean,” the third track from her Jack White-produced album FOREVER AND THEN SOME — listen HERE. The song premiered via Elle, who noted that “Forever and Then Some is filled with songs that showcase Lillie Mae’s songwriting talent, blending pop heartbreak with country joy-kind of like if Robyn spent some quality time with Willie Nelson.” FOREVER AND THEN SOME will see a release on April 14 via Third Man Records. Pre-orders for FOREVER AND THEN SOME are available HERE, with all digital pre-orders receiving instant downloads of the album’s wistful first single “Over The Hill and Through The Woods,” “Honky Tonks and Taverns,” and the latest track “Wash Me Clean.” “Over The Hill and Through The Woods” is also available as a 7″ vinyl single — backed with non-album track “The Last Time” — at thirdmanstore.com. A limited edition 7″ will be released for Record Store Day 2017 on April 22. “Over The Hill and Through The Woods” was praised by Rolling Stone Country for “melding unique old-time vocal breaks, a rich sonic chug that evokes some Seventies rock psychedelia and evocative storytelling.” Watch the beautifully stark music video directed by Elise Tyler on YouTube. Lillie Mae will start a run of shows supporting Ben Harper & The Innocent Criminals on April 28 in New Orleans, followed by festival dates this Summer and additional shows to be announced soon. For tickets, more information, and updates, please visit www.lilliemaemusic.com. (Nashville, TN) Third Man recording artist Lillie Mae is heralding the upcoming arrival of her eagerly awaited album FOREVER AND THEN SOME with the release of a new album track, “Honky Tonks and Taverns,” which premieres today via Stereogum – LISTEN HERE. “Over The Hill and Through The Woods” is also available now as a vinyl 7″ at thirdmanstore.com. A limited edition 7″ will be released for Record Store Day 2017, set for Saturday, April 22nd. The track was praised by Rolling Stone Country for “melding unique old-time vocal breaks, a rich sonic chug that evokes some Seventies rock psychedelia and evocative storytelling.” Watch the beautifully stark music video directed by Elise Tyler on YouTube. Lillie Mae hits the road in support of FOREVER AND THEN SOME this week with a much anticipated headline show at Birmingham, AL‘s The Syndicate Lounge, on Thursday, March 9th. Additional dates include a series of showcase performances at Austin, TX’s South By Southwest (SXSW), as well as festival dates and shows supporting Ben Harper & The Innocent Criminals. For tickets, more information, and updates, please visit www.lilliemaemusic.com. (Nashville, TN) Third Man recording artist Lillie Mae is proud to release her new Jack White-produced album FOREVER AND THEN SOME today. The release comes just a day after she performed on Conan — watch “Over The Hill and Through The Woods” HERE, and the web-only performance of “To Go Wrong” HERE. In addition to the digital release, a limited edition 7″ will be released for Record Store Day 2017 on April 22, as well as alimited edition smoke-colored (clear with white wisps) 12″ LP. 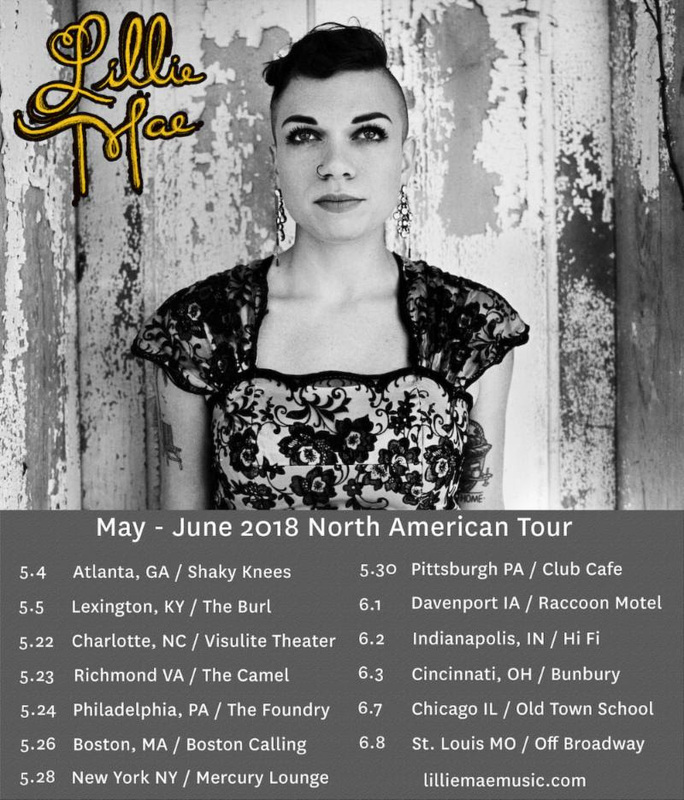 Lillie Mae will start a run of shows supporting Ben Harper & The Innocent Criminals on April 28 in New Orleans, followed by dates with Pokey LaFarge in June and festival performances this Summer. For tickets, more information, and updates, please visit www.lilliemaemusic.com. Earlier today, Lillie Mae was featured on CBS This Morning Saturday for a special “Saturday Sessions” from Third Man Records in Nashville. She spoke with legendary correspondent Anthony Mason and performed her new single “Over The Hill and Through The Woods” live in the Blue Room, along with “Honky Tonks and Taverns,” “Wash Me Clean,” and “Loaner” off her recently released album Forever and Then Some. and festival dates throughout the Summer (dates below). For tickets, more information, and updates, please visit www.lilliemaemusic.com. Jack White also sat down to speak with Anthony Mason about Lillie Mae and Third Man Records, along with Ben Swank who gave Anthony Mason a tour of Third Man Records Nashville. Plus a look at Third Man Detroit and the brand new pressing plant. Watch HERE. Jun 26 2017 Lillie Mae Announces North American Headline Tour! Lillie Mae is excited to share a run of headlining North American dates for this August and September behind her recent album Forever And Then Some (out now on Third Man Records). In addition to the headline shows, the tour includes appearances at Sloss Music & Arts Festival, Bumbershoot Music Festival and AmericanaFest. Tickets for the headline shows go on sale this Thursday, June 29th at 10am local time. A special pre-sale is available for Third Man Records Vault members on Wednesday, June 28th at 10am local time. The full run of dates can be found below. For tickets and more information visit lilliemaemusic.com. Lillie Mae will also be performing on The Late Show With Stephen Colbert tomorrow, June 27. After the taping, Lillie Mae will perform at Rough Trade in Brooklyn, NY – purchase tickets here. Lillie Mae made her debut on The Late Show With Stephen Colbert last night with a performance of “Over The Hill And Through The Woods” from her recent album Forever And Then Some (out now on Third Man Records). The performance can be watched HERE. Lillie Mae also recently announced a headlining North American tour for this August and September. Tickets for the headline shows go on sale this Thursday, June 29th at 10am local time. A special pre-sale is available for Third Man Records Vault members on Wednesday, June 28th at 10am local time. The full run of dates can be found below. For tickets and more information visit lilliemaemusic.com. Lillie Mae is excited to share the video for “Wash Me Clean” from her recent album Forever And Then Some(out now on Third Man Records). The video debuted via CMT, and it can be found HERE. The video will be airing on TV every two hours on CMT Music throughout the day. Lillie Mae hits the road on her North American headline tour next month, with stops at Bumbershoot Music Festival and AmericanaFest along the way. The full run of dates is below. For tickets and more information visit lilliemaemusic.com. Forever And Then Some received a great deal of advance praise leading up to its release. Rolling Stone praised “Over The Hill And Through The Woods” for “melding unique old-time vocal breaks, a rich sonic chug that evokes some Seventies rock psychedelia and evocative storytelling;” Stereogum lauded “Honky Tonks And Taverns” as “an expertly polished, delightfully upbeat track;” and Elle noted that the album is “filled with songs that showcase her songwriting talent, blending pop heartbreak with country joy — kind of like if Robyn spent some quality time with Willie Nelson.” Lillie Mae also recently performed on The Late Show With Stephen Colbert — watch the performance HERE. Lillie Mae is excited to announce a run of headline tour dates for this May and June. The run includes appearances at Shaky Knees Music Festival in Atlanta, GA, Boston Calling Festival in Boston, MA and Bunbury Music Festival in Cincinnati, OH. Before the headline dates begin, Lillie Mae will hit the road with Tyler Childers for the third annual Stagecoach Spotlight Tour, held in conjunction with the Stagecoach Music Festival in Indio, CA. The full run of tour dates can be found below. Last year’s Forever And Then Some received a great deal of advance praise leading up to its release. Rolling Stone praised “Over The Hill And Through The Woods” for “melding unique old-time vocal breaks, a rich sonic chug that evokes some Seventies rock psychedelia and evocative storytelling;” Stereogum lauded “Honky Tonks And Taverns” as “an expertly polished, delightfully upbeat track;” and Elle noted that the album is “filled with songs that showcase her songwriting talent, blending pop heartbreak with country joy — kind of like if Robyn spent some quality time with Willie Nelson.” Lillie Mae also recently performed on The Late Show With Stephen Colbert — watch the performance HERE.